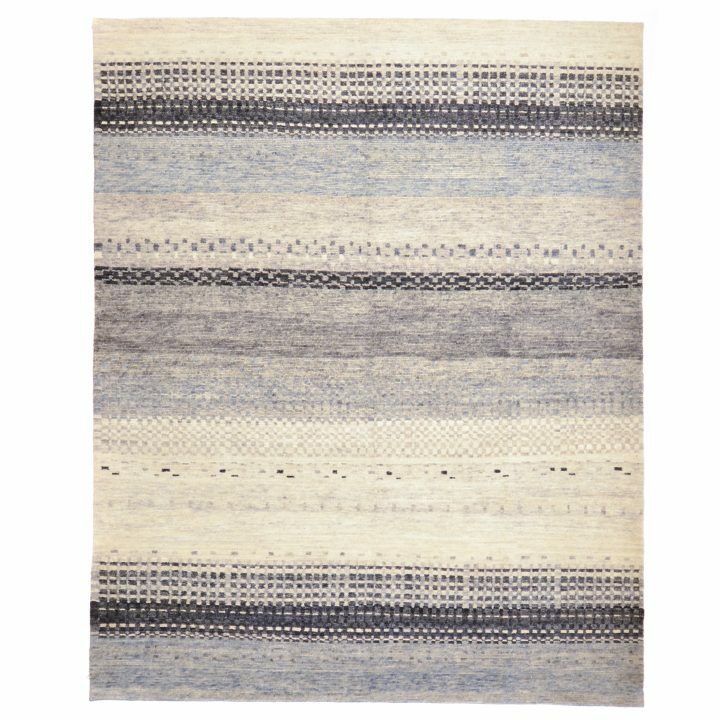 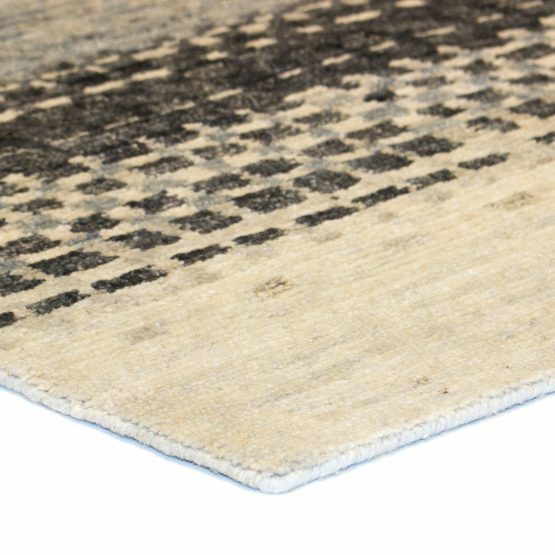 Tibetan style rug with a repetitive abstract linear pattern motif in a subtle color palette with greys, charcoal, blues and other colors throughout. 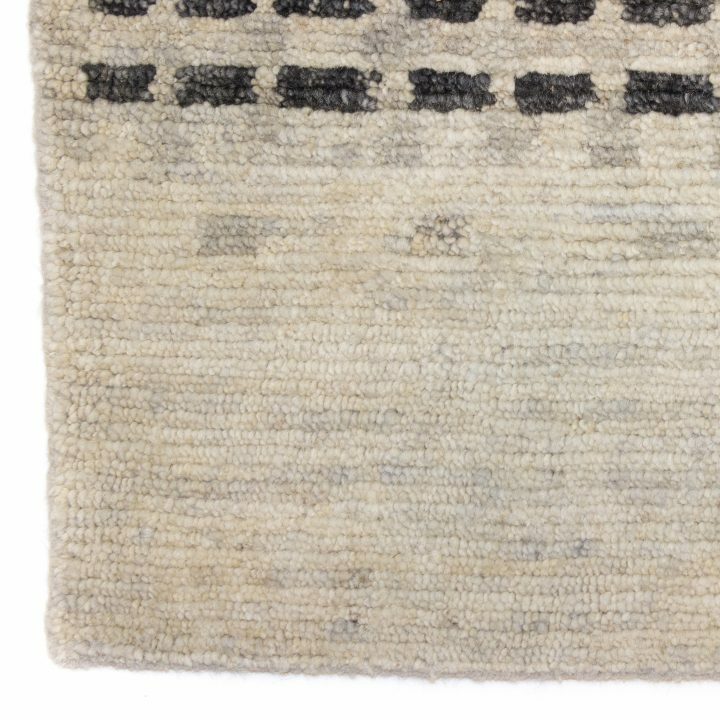 Item in picture is actual rug offered unless on back-order. 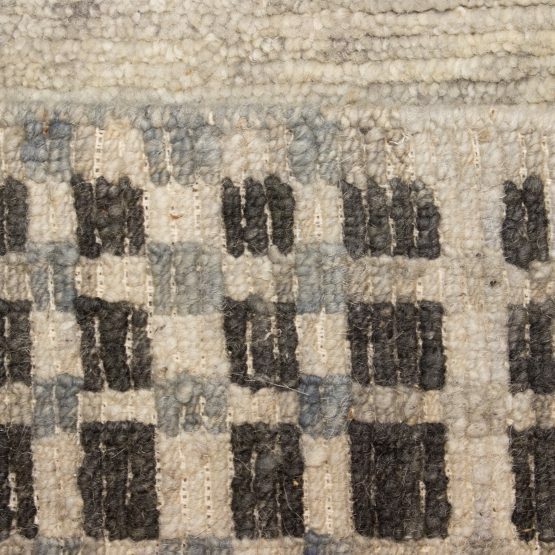 For back-ordered items the pictured rug is representative only, it is natural for hand-made items to vary slightly. This rug is made in other sizes (call for pricing, availability, customization and production lead time). Please note: though we try our best to show colors as they would appear to you in person it is not possible to capture them precisely on camera.